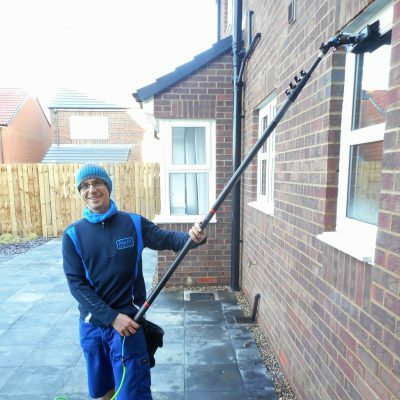 I offer professional window cleaning services to homes and businesses across Spennymoor, including Burton Woods, Durham Gate, Merrington Park, Moorcroft, The Acorns, Thinford Gardens and Whitworth Park. 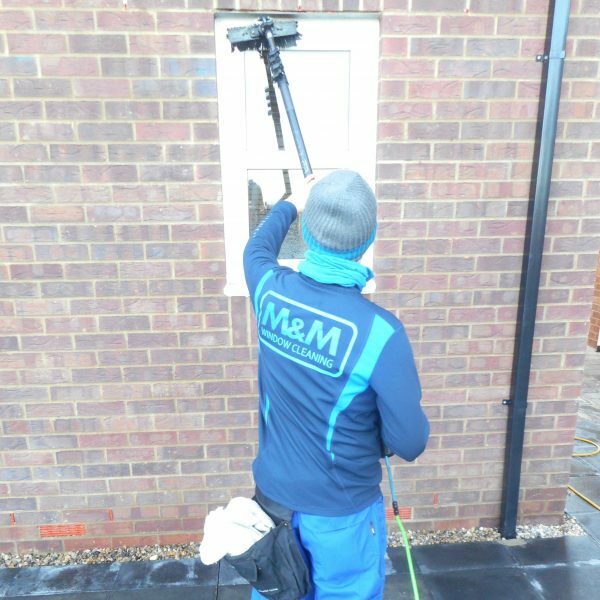 M&M window cleaning have over 18 years experience in the industry and have a well established reputation across Spennymoor and Ferryhill. I have built this solid reputation by offering a high quality and reliable service, which I deliver to all my clients year round. I am always uniformed and insured. I believe this is exactly what a modern day window cleaner should be, a professional who is visible, contactable, able to offer the services you require and who you can trust to meet your expectations for a job well done. 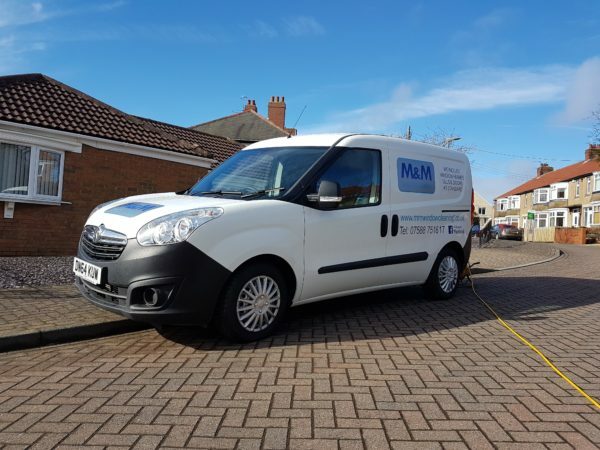 M&M Window Cleaning were the first local Spennymoor window cleaning service to offer water-fed pole window cleaning using a telescopic pole and 100% purified water. I know what it takes to get the best results and want to offer my clients the very best service. I clean all window frames, sills and doors thoroughly at each clean and can include garage doors if required. Contactable via text ,email and Facebook or call to speak to the owner directly for a faster response. I am covered by a specialist £5 million window cleaning public liability policy for your peace of mind. Text service available for access issues. A text is sent out at 7pm the evening before so gates can be unlocked. Dedicated to excellent customer service, being responsive, courteous and friendly. Deal solely with the business owner! Fab service, Windows are always sparkling!! I would definitely recommend to anyone. Great window cleaner and so much easier the fact I can pay by direct debit , would definitely recommend !!! Michael has been cleaning my windows for a number of years now, always does a fantastic job and most important he is also extremely reliable. Fantastic window cleaner, wouldn't use anyone else! At M&M Window Cleaning, my clients are my number one priority. I know that a happy client will tell their friends which is why my rounds continue to grow through regular client referrals. I offer a 24-hour guarantee so should you not be happy with the service provided please contact me within 24-hours so I have the opportunity to inspect and rectify the issue and if I am at fault I will re-clean the affected window as promptly as possible. For more information about the professional service, I offer please read through each page as this will provide you with all the relevant information about the all year round reliable service I offer and the areas I cover.